The story starts with Melbourne’s first railways. A steam engine at the front of each train provided the motive power, with any number of carriages being added behind to cater for the expected patronage. The carriages themselves were a mix of different lengths – the shortest rode on two axles, others on three, while the longest sat upon a pair of three axled bogies. 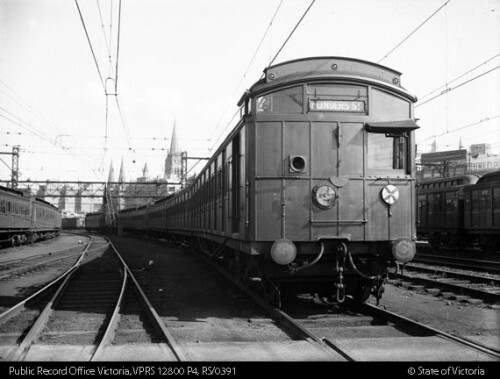 Steam engines were dirty, slow to accelerate, required frequent coal and water topups, and depended on a huge army of staff to keep operational, so the decision was made in the early 20th century to electrify the Melbourne suburban railway system. Two kinds of electric suburban trains were built to service the newly upgraded system – the newly built ‘Tait’ trains, and the ‘Swing Door’ trains – older steam hauled carriages extended in length and provided with electric motors and driving controls. Both trains were similar in length – ‘Swing Door’ carriages were 17.4 metres (57 ft 1 in), the Tait trains were 18.8 metres (61 ft 8 in) – but could be operated in a wide variety of consists – everything up from single carriage trains, up to six carriage long sets. This was thanks to a new technology called multiple unit operation – where carriages fitted with traction motors were all controlled by a single driving sitting in the lead carriage, via electrical cables running the length of the train. Electrification of the suburban network allowed more frequent services, which resulted in an explosion in patronage on peak hour services. 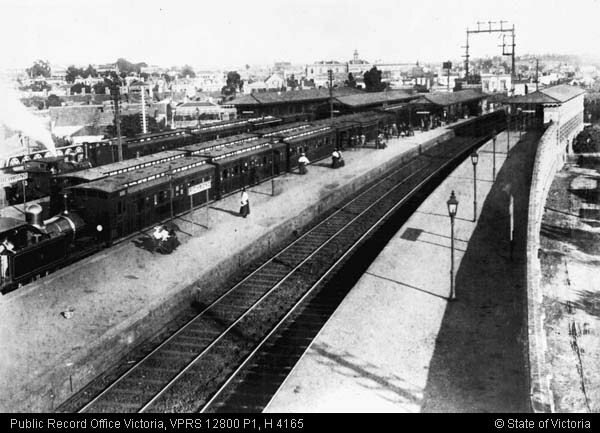 As a result in 1922-23 the first seven-car suburban train ran on the St Kilda line. With a total train length of ~135 metres, this required platform lengthening, with works completed as far as Sandringham, St Kilda, Frankston, Dandenong, Box Hill, Eltham, Reservoir, and Williamstown to cater for these longer trains. Beyond these boundaries, six-car trains continued to be used. At 19.20 metres (63 feet) long the Harris trains were nothing special, but in February 1963 a 10 car long Harris train ran with passengers to Traralgon and return for the Royal Tour – forming a train 192 metres long. The flexibility of the new electric trains also enabled the creation of shorter trains, giving cost savings when patronage was sparse. From 1918 two and four car long Tait and Swing Door trains were trialled for use on off peak services, while still allowing the creation of six car long trains for peak hour. Another change that resulted in shorter trains was the introduction of single class travel on suburban trains. Since electrification three out of seven carriages per train were allocated to first class passengers – 42% of the train. But the number of first class passengers had been in freefall – from 44.4% in the 1948-49, down to just 28.9% a decade later. This passenger imbalance resulted in empty first class carriages to be dragged around at off peak times, just so that enough second class seats were available, so in September 1958 the decision was made to abolish first class suburban travel, along with a reduction in train lengths to four cars off peak. 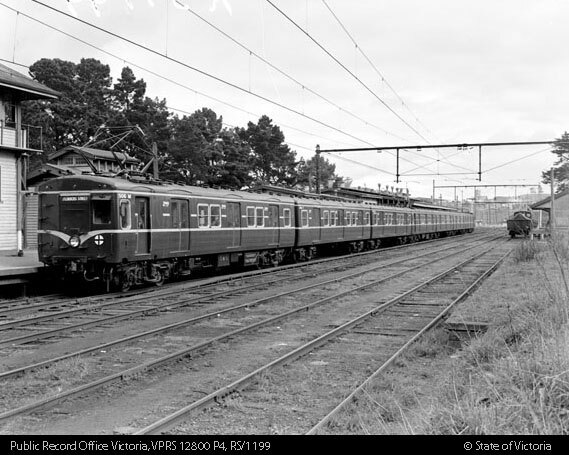 A collapse in off peak patronage during the 1960s led to further cuts to train lengths, with two car long trains introduced in November 1964 after 7pm on weekdays, 1pm on Saturdays, and all day Sunday on the Glen Waverley, St Albans, and Upfield lines. The same changes were made to the Broadmeadows and Sandringham lines in August 1965, and the Epping and Hurstbridge lines in August 1966. There was also a move to even shorter trains – the creation of the ‘double-ended’ single car Tait carriages. 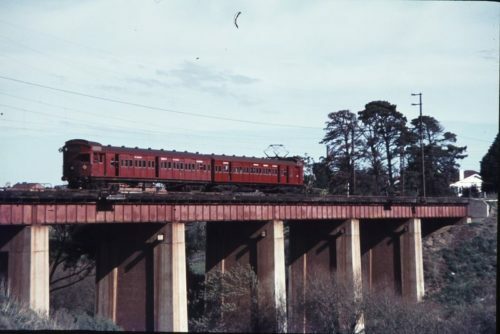 They were introduced to the Camberwell – Alamein Sunday shuttle in March 1968, to the Newport – Altona shuttle in March 1969, and to the Eltham – Hurstbridge shuttle in August 1970. 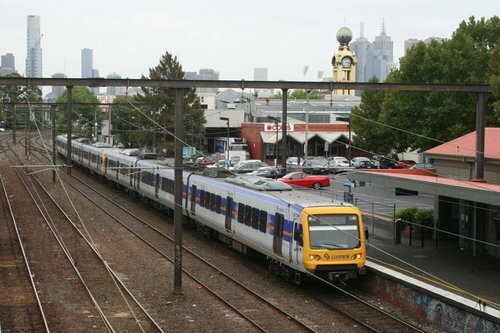 Despite the off peak slump, commuters from ever distant suburbs continued to catch the train to and from the Melbourne CBD, putting increasing strain on a railway system much the same as 50 years earlier. Proposals for eight car long suburban trains dated back to 1924, but it took until 1967 for the first such train to be created. Platforms on the Lilydale, Belgrave and Glen Waverley lines were lengthened, to make space for the ~155 metre long trains. 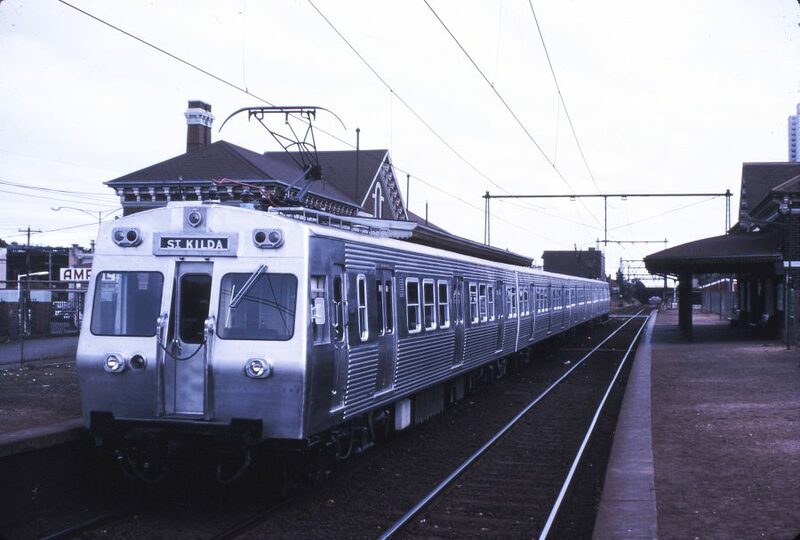 Extensions to platforms on the Frankston, Pakenham, Alamein, Upfield, Broadmeadows, St Albans, and Williamtown lines followed in 1968. Another attempt at addressing increased patronage was the creation of higher capacity carriages. In 1967 a small number of prototype Harris carriages were built – at 75 feet (22.86 m) long, compared to 63 feet (19.20 m) of earlier deliveries. These longer carriages were deemed a success, with the six car long ‘Hitachi’ trains delivered from 1972 built to the same carriage length. 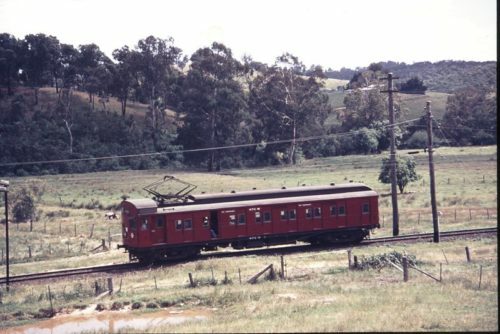 A final stretch in carriage lengths occurred with the Comeng trains that entered service from 1981 – 24 metres each, resulting in a 144 metre long train. The Siemens trains delivered from 2002 stuck to this maximum carriage length. As did the X’Trapolis trains delivered the same year. Which brings us to the High Capacity Metro Trains currently in development. Advertised as “almost 160 metres long with seven continuous carriages“, this would result in a carriage length of 22.8 metres – about the same as the Hitachi trains introduced almost 50 years ago. So what about the platforms? 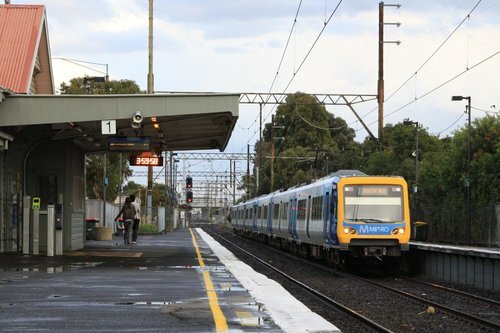 Since at least 2006 the Victorian Rail Industry Operators Group Standards have mandated 160 metre long platforms on the suburban network, with provision for future extensions up to 230 metres, so these new trains present no issues at newly built stations. 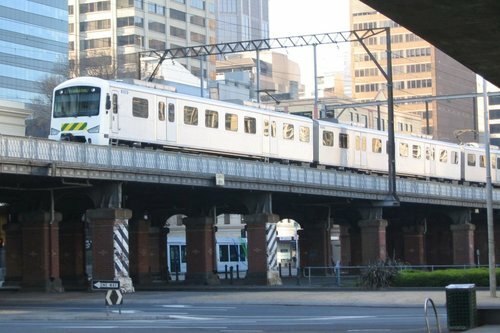 Size will matter on Melbourne’s busiest train line with platforms to be extended at 13 stations as part of a $660 million upgrade. 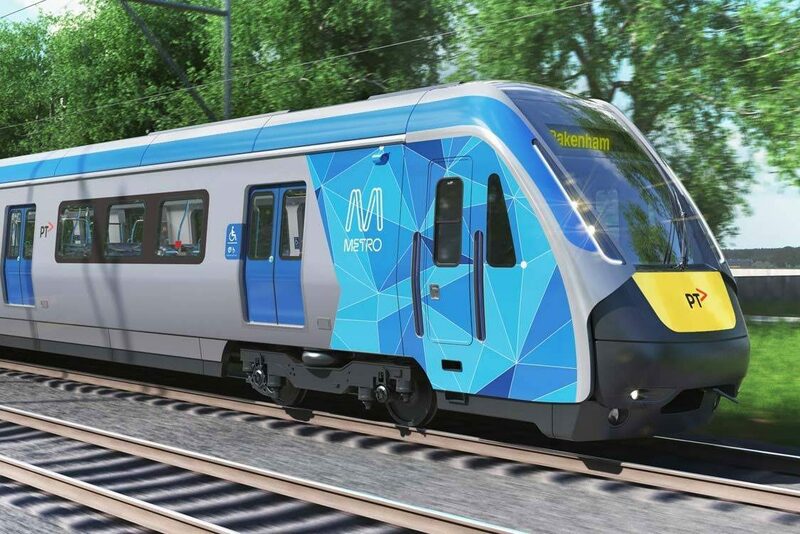 The longer platforms will cater for the new high-capacity metro trains that will first travel on the Cranbourne-Pakenham line. Work will begin to extend the platforms later this year. The 13 stations to receive extended platforms include South Yarra, Caulfield, Malvern, Oakleigh, Westall, Springvale, Dandenong, Merinda Park, Cranbourne, Hallam, Berwick, Officer and Pakenham. Five further stations will be rebuilt at Carnegie, Hughesdale, Murrumbeena, Clayton and Noble Park as level crossings are removed. The new trains would initially run on the Cranbourne-Pakenham line but would travel to Sunbury when the Melbourne Metro project was completed. Similar upgrades will need to be carried out on the Sunbury line to accommodate the new trains. But even longer trains are in the pipeline – the High Capacity Metro Train is designed for future expansion – up to 10 cars is size, giving a total length of 228 metres. That’s around double the length of the first suburban electric trains to run in Melbourne 100 years ago. The one exception to the continual progression in carriage lengths was the ‘4D’ train delivered in 1992. 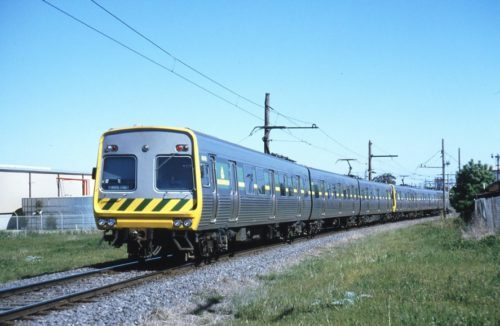 Built as a prototype train to test the suitability of double deck trains on the Melbourne suburban network, it was made up of four 20 metre long carriages, but could be coupled up to a 3-car long Comeng train. A few months ago I went into detail why ‘make trains longer’ isn’t that simple – go have a read now if you haven’t. 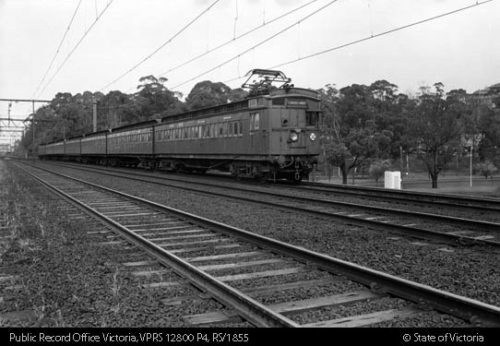 The book “Electric Railways of Victoria: 1919 to 1979” by S. E. Dornan and R. G. Henderson is a treasure trove of information about the electrification and operation of the Melbourne suburban railway system – the only flaw is that it only covers up until the publication date of 1979. 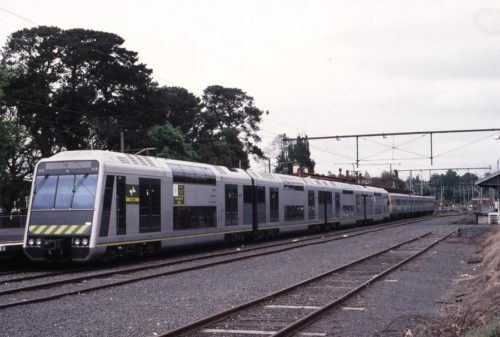 Carriage lengths of the current fleet of trains is from the Metro Trains Melbourne working timetable addenda. Current platform lengths are from the Victorian Rail Industry Operators Group Standards documents. Detail of the new High Capacity Metro Trains is from Tenders Vic. That is a VERY GOOD summary of the history of Melbourne’s train lengths. I can’t “fault” it at all. Excellent work!!! Keep up the brilliant commentary. Elevated platforms at the new Carnegie, Murrumbeena, Hughesdale, Clayton and Noble Park stations are being built to the 160m standard, to accomodate the initial 7-car HCMTs. They will have to be extended to 230m in the future, to accomodate 10-car HCMT consists. The station precincts have apparently been “future proofed” to enable future platform extensions, but one wonders why longer platforms aren’t being built today, during the initial build. I would assume if the longer trains are going to be running ‘soon’ the platforms should get built now, if it is a decade or more away, maybe give it a miss. The new ‘Skyrail’ stations should be open by 2018, while 10 car trains have to wait until the Metro Tunnel opens in 2026. So empty platforms sitting around for eight years, versus an extended build time while trains are running – it’s a tricky one. If 160 metre long platforms is the present mandatory standard, with provision for future extensions up to 230 metres, then what pedestrian access is expected to platforms? One passenger entry point could result in a long walk! I would bloody well hope these extended platforms would have multiple exits – it’s a long enough walk already at stations where the exit is at one end! I have seen no sign of platform entrances planned for the far end of skyail platforms, they seem to be concentrated. And to make things even worse – the exits aren’t even on either side of the road! It would be ideal from a passenger point of view to have entrances on each side of the roads but it would likely be significantly more expensive and the roads with stations are single carriageways (with the possible exception of Clayton) and mainly is shopping strips and thus have lower speed limits.